Wayne Smith, of the Capris, remembered - Pop, Rock & Doo Wopp Live! 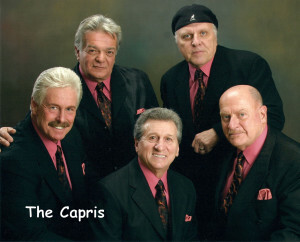 Wayne Smith, lead singer of the Capris for the last 7 years, passed away Saturday, March 12. 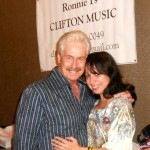 Wayne had previously recorded with The Cliftonaires and appeared live with Joe Villa as one of The Three Friends. To group harmony enthusiasts (especially those who frequented the U.G.H.A. scene in New Jersey), Wayne is perhaps best known for his work under the stage name Johnny Staccato in Little Isidore & The Inquistors. Wayne had collapsed Tuesday afternoon at his Staten Island home and never recovered. The exact cause of his episode is still unknown. The group members are grieving his loss as is Sandi Italiano, his beloved companion for the last several years. 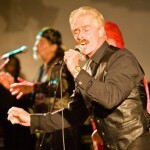 Recruited to The Capris by fellow Inquistor John Monforte (a former member of Vito & The Salutations and The Impalas), Wayne took on the daunting task of singing lead for the group after the retirement of Nick Santamaria, who would later pass away in December of 2010. 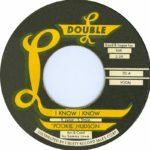 The group’s hits, “There’s a Moon Out Tonight” and “Morse Code of Love” include a lot of falsetto and vocal acrobatics which Wayne handled deftly. He ably carried the torch of a group who had become known for maintaining very high standards of live performance and gained acceptance with fans who had been accustomed to hearing the original lead voice of the recordings for the previous 25 years.